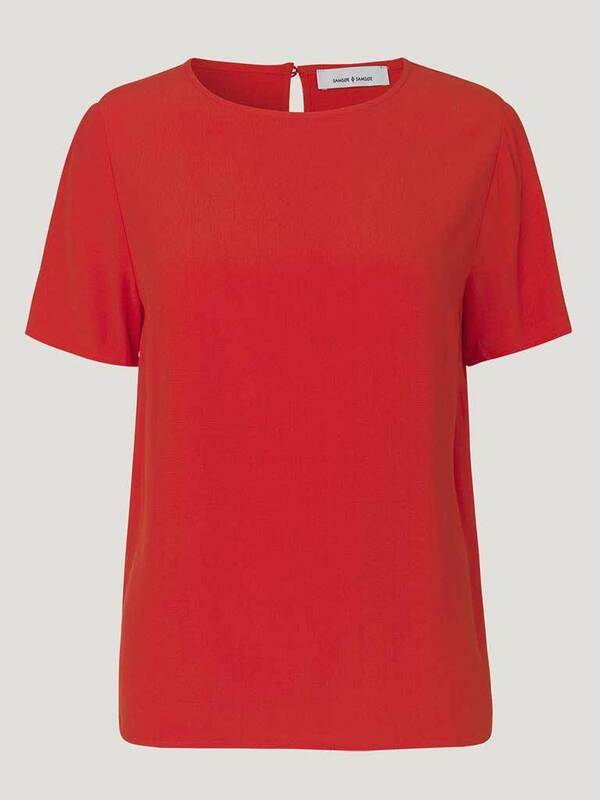 The Samsoe & Samsoe Herdis Top in Flame Scarlet is a simple and versatile modest top. The round neckline fastens at the back with a button and keyhole detail while neat hem splits complete this short sleeve top. Brighten up black jeans or a skirt with this stylish viscose piece.